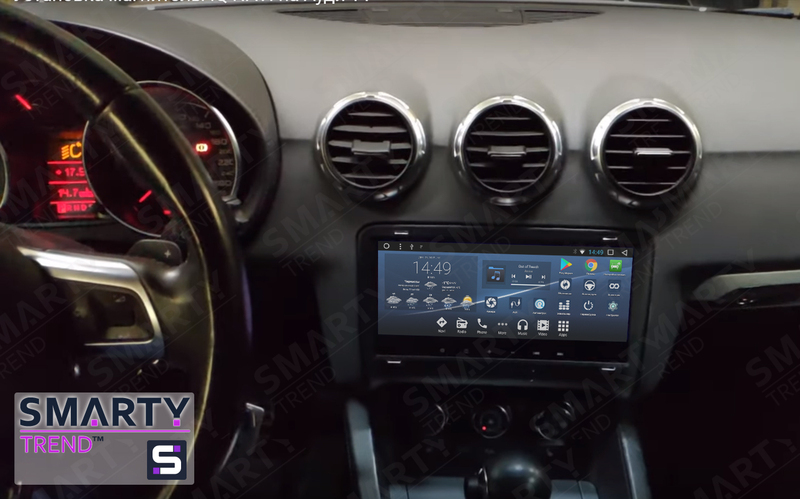 SMARTY Trend head unit overview for Audi TT. We would like to present for your attention an example of installing the head unit in Audi TT. For many car enthusiasts - this car is the ideal option, because here is the ideal ratio of price and quality. Given its technical characteristics, it is ideally suited for modern urban conditions. For many, he became a cult because it was often used in movies and video games. Despite all its advantages, unfortunately, there are many problems with its functionality. You can replace the device from authorized dealers, but the cost of such work is extremely high. Ask to the professionals SMARTY Trend company will perform for you the selection of radio with regard to the configuration of your car. Even if you have a full-time navigation, over time you will encounter the problem of updating the maps of the navigation system. All SMARTY Trend receivers work on the Android OS. Thanks to this OS, you can install absolutely any navigation system that you like, all that is necessary for installation is supplied. Determining your location is done using GPS, so the best route is always at hand. performs full support for all regular functions of your car. Climate control, Park tronic, a standard rear-view camera work in normal mode. In this case, we are considering a variant of the head unit, that is, it was specifically designed for this car model, in which all the regular functions of the car are supported! The screen size on this device is SMARTY Trend 8.8 inches Full-touch. IPS matrix, HD resolution. The screen shows a very bright and rich picture, excellent viewing angles and image quality. There are various settings for the level of rage device. Thus, even on a bright sunny day, you will see excellent image quality! The first thing to note is the visual change in the center console of the car. Full support for all standard features plus a huge number of new features thanks to the Android operating system. Excellent build quality, modern design. 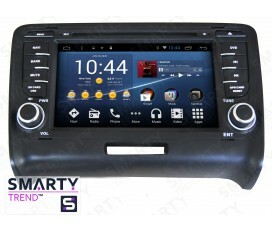 This head unit is an excellent example of the triumvirate of price and quality. Company SMARTY Trend will help you use the technology of the future today!